Free Gold Bar at Panda Express! 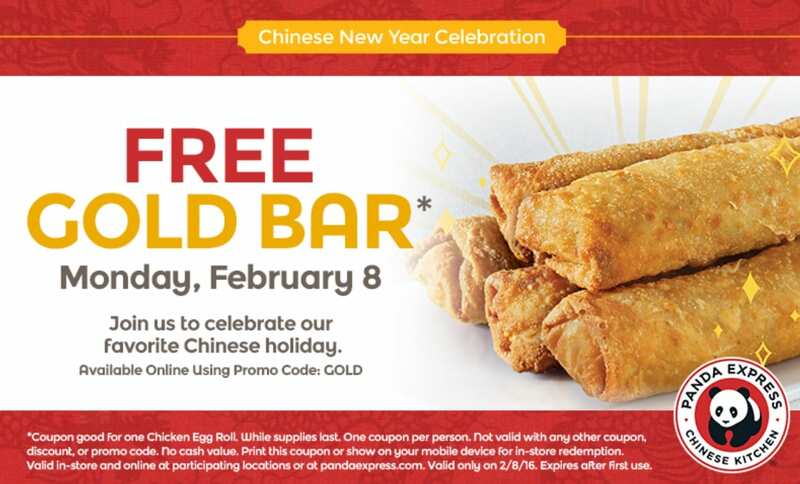 Head to participating Panda Express locations on Monday, February 8, 2016 with this coupon to get a FREE Gold Bar to celebrate Chinese New Year! Keep in mind that this is one person and at participating locations only. Will you be eating a free egg roll on Monday? Yum!